What is this book about? 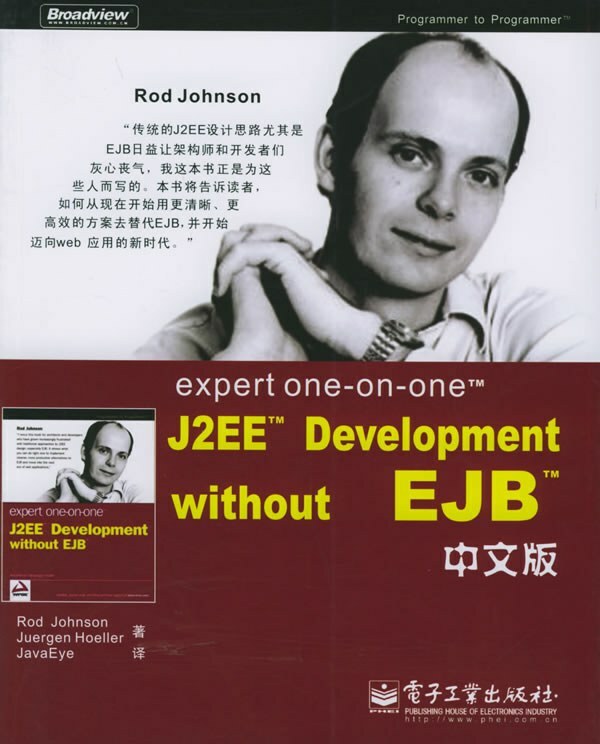 "Expert One-on-One J2EE Development without EJB" shows Java developers and architects how to build robust J2EE applications without having to use Enterprise JavaBeans (EJB). This practical, code-intensive guide provides best practices for using simpler and more effective methods and tools, including JavaServer pages, servlets, and lightweight frameworks. What does this book cover? 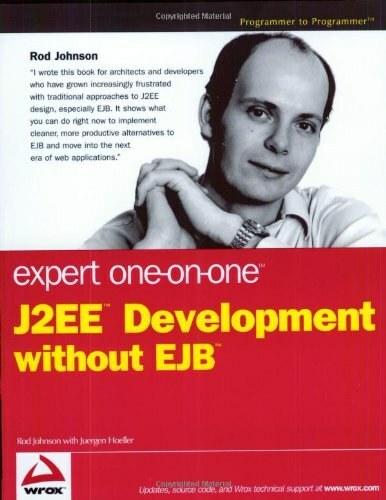 The book begins by examining the limits of EJB technology - what it does well and not so well.Then the authors guide you through alternatives to EJB that you can use to create higher quality applications faster and at lower cost - both agile methods as well as new classes of tools that have evolved over the past few years. They then dive into the details, showing solutions based on the lightweight framework they pioneered on SourceForge - one of the most innovative open source communities. They demonstrate how to leverage practical techniques and tools, including the popular open source Spring Framework and Hibernate.This book also guides you through productive solutions to core problems, such as transaction management, persistence, remoting, and Web tier design. You will examine how these alternatives affect testing, performance, and scalability, and discover how lightweight architectures can slash time and effort on many projects. What will you learn from this book? 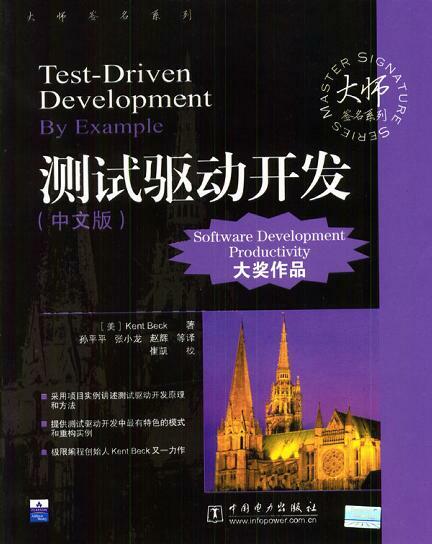 Here are some details on what you'll find in this book such as: how to find the simplest and most maintainable architecture for your application; effective transaction management without EJB; how to solve common problems in enterprise software development using AOP and Inversion of Control; Web tier design and the place of the Web tier in a well-designed J2EE application; effective data access techniques for J2EE applications with JDBC, Hibernate, and JDO; how to leverage open source products to improve productivity and reduce custom coding; and, how to design for optimal performance and scalability.